They discover ancient writing in Sacsayhuaman, Peru! Sacsayhuaman (or Saqsayhuaman) is one of the most impressive Inca constructions in the City of Cusco in Peru. But it is also one of the most mysterious ancient constructions on the planet. Recently a kind of writing more than 30 thousand years old was discovered. What mysteries does Sacsayhuaman hide? They find writing of 30 thousand years of antiquity in Sacsayhuaman! What proves the findings in Sacsayhuaman? In what other places of the world are these astronomical values? What other discoveries were made in Sacsayhuaman? How much does the entrance to Sacsayhuaman cost? Can you appreciate the ancient writing in Sacsayhuaman? What was the importance of Sacsayhuaman? How did they build Sacsayhuaman? 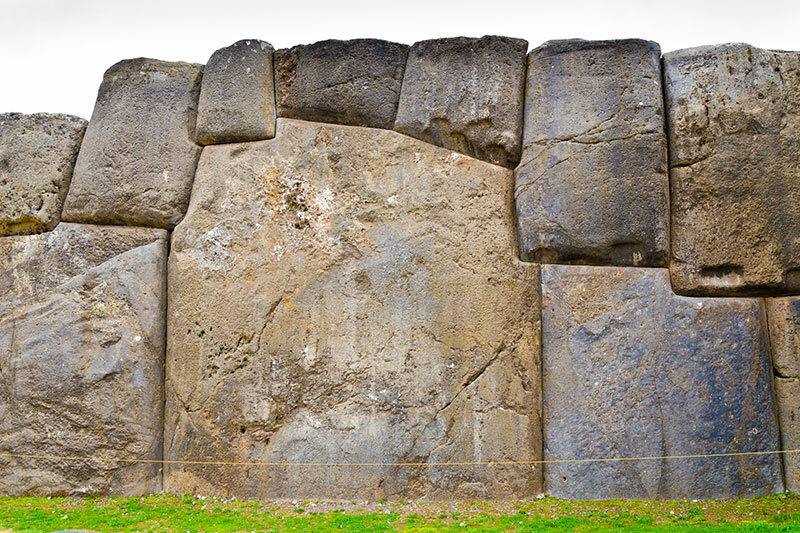 The stones used in Sacsayhuaman fit like a puzzle without the help of any kind of glue. The lace is so exact that in many cases you can not even insert a sheet of paper. There are stones up to 8.5 meters high and almost 200 tons of weight. Even today it is not known how they did to move such a large rock. In Sacsayhuaman there are 2 tunnels or ‘Chincanas’. One of them has a short route and is open to the public. The other, however, remains closed. It is said to lead to the Coricancha. The mysterious zigzag of the walls of Sacsayhuaman reveal an ancient knowledge of astronomical alignments of the moon, the sun and the planet. Dr. Cunningham proposes that this architecture system would be a type of writing more than 30 thousand years old. In an article published by the magazine ‘Popular Archeology’, the American doctor proposes that this type of writing also existed in other ancient cultures of the world. In Sacsayhuaman there are 9 astronomical values ​​in total, which serve to measure lunar and sun eclipses. This type of pattern is repeated in other parts of the planet until 500 years ago so it would be a type of writing made continuously. There are many sites that show an amazing ability to align exactly with the same angular values. This includes the roads in front of the pyramids of Giza and the perimeter lines of the body of the Atacama Giant. They can also be found in Ishango (Africa), in the Lascaux and Chauvet caves (Africa) in Europe and in other ancient sites. An Inca temple 500 meters from Sacsayhuaman. Inside, 11 enclosures of various sizes were found. It is believed that mummies were buried there. The section of an alternate Inca road. This trail connected Sacsayhuaman with the huacas and other archaeological centers of the place. A complex irrigation system with gutters, fountains, and water reservoirs. An archaeological site in the upper part of Sacsayhuaman. Many buildings were completely destroyed during the Spanish conquest. Buying the Tourist Ticket of Cusco. Hiring a City Tour Cusco. What are the hours of service at Sacsayhuaman? City Tour Cusco: 50 dollars (USD) approximately. The tour of Sacsayhuaman is accompanied by a tour guide. The tour of the main Inca buildings where writing was found in research is included. Wear a hat, sun block, comfortable shoes, drinkable water, snacks, a camera and a poncho in case of rain. The tour of Sacsayhuaman with a tour guide is recommended. If you do not make your visit with a City Tour that includes a guide, you can hire one at the entrance door. The best time to visit Sacsayhuaman is the dry season (between April to October). The days are sunny and ideal for excursions. Sacsayhuaman still hides many mysteries. The best way to discover them is to preserve the place. Therefore it is recommended not to cause damage to Inca structures. 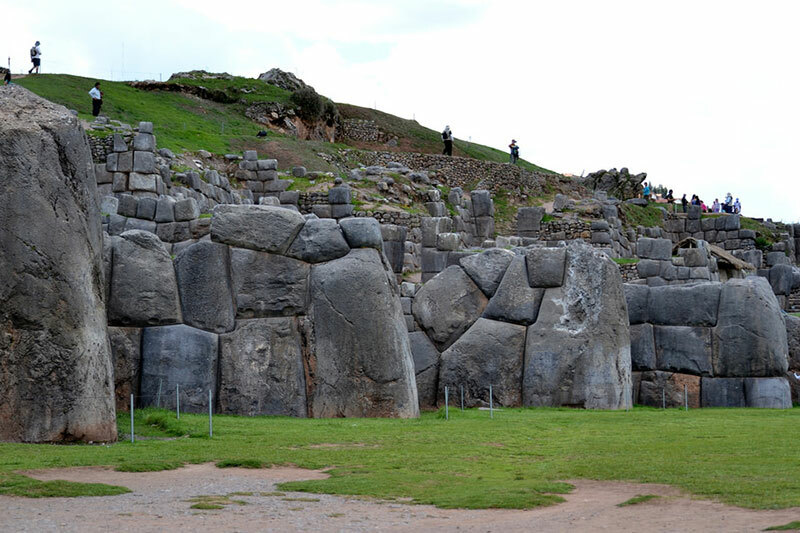 The fortress of Sacsayhuaman is located on the slope of a steep hill north of the city of Cusco. From there you can see the city. The archaeological site is 4 kilometers from the Historic Center. The site had a great religious importance. It is possible that this amazing structure will inspire the Incas to build places like Machu Picchu. Due to its enormous structures, the Spaniards believed that it was a fortress and destroyed a large part of its structures. In 1536, Sacsayhuaman was the scene of a battle between the Spanish invaders and the rebel Incas of Vilcabamba. 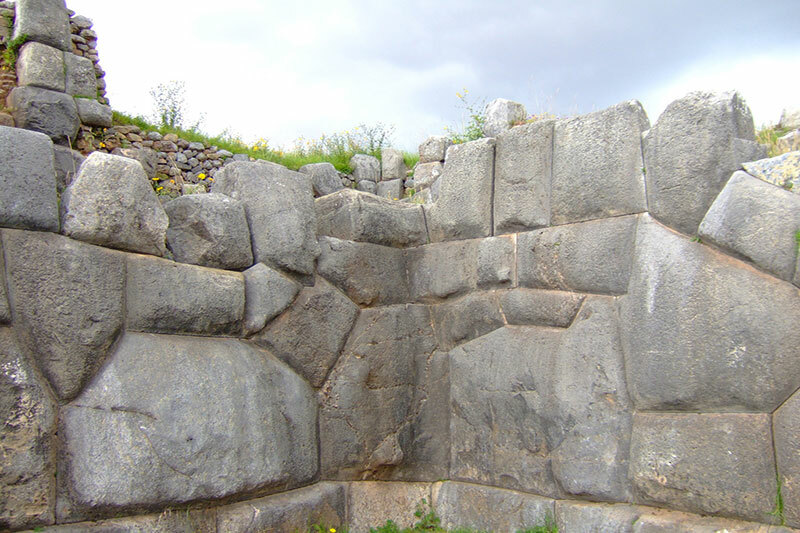 Despite numerous investigations, there is still no firm theory regarding the creation of Sacsayhuaman. One belief is that the stones were cut and stacked but then merged due to a huge forest fire. Another insane theory suggests that the Incas used complex crystals and lenses to take advantage of the sun’s rays to create enough heat to melt the stone. One of the most popular theory tells that the technology that made possible the construction of Sacsayhuaman was revealed to the Inca by extraterrestrials.